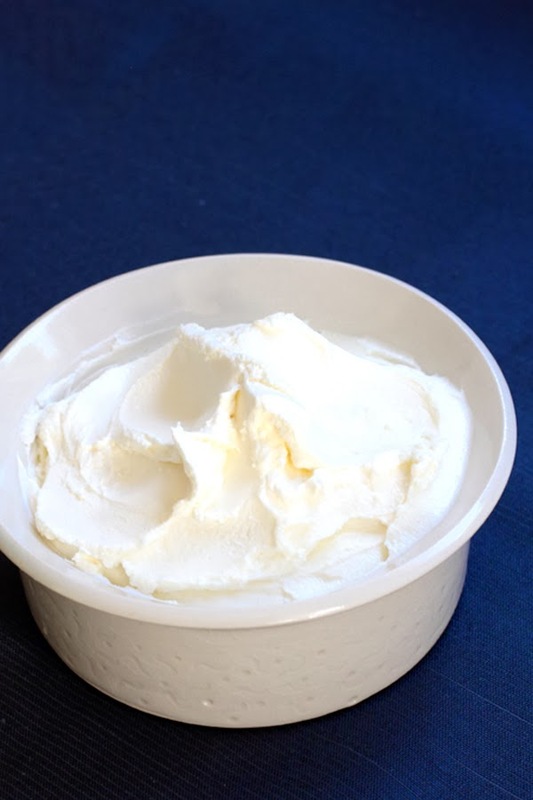 A bit of a different post today: Homemade Cream Cheese! 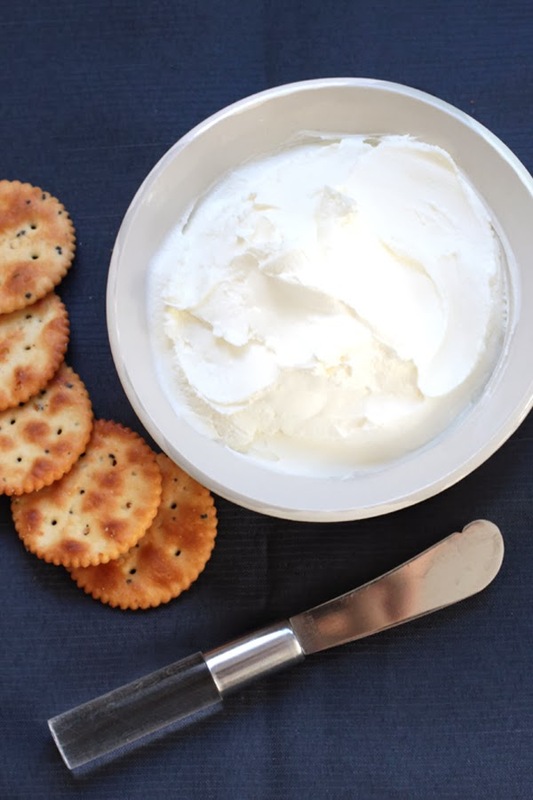 Cream cheese made from yoghurt is not only super delicious but easy and fun to make too. I make it all the time at home and usually have some somewhere abouts in the fridge. It’s much fresher, lighter and tangier than the usual commercial varieties but has a similar richness and smoothness to it too. 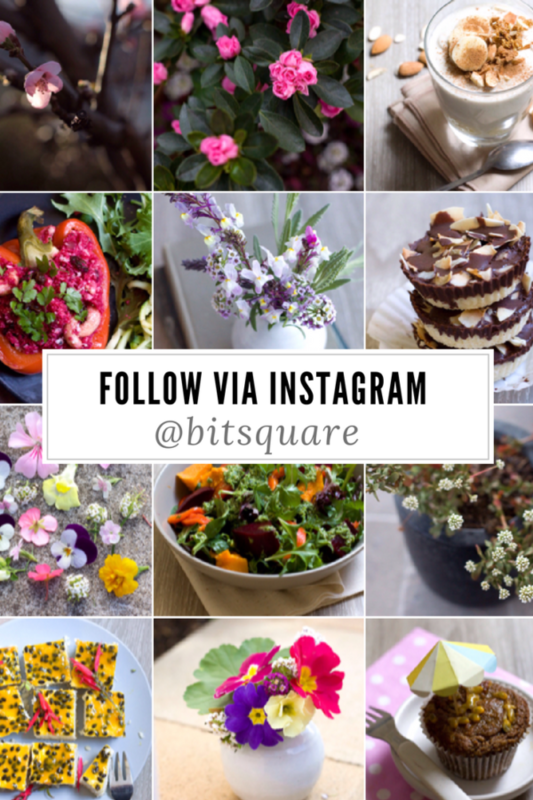 It can be substituted in any recipe that calls for for cream cheese and easily made into dips, toppings, sandwich fillings, snacks, pizzas, quiches, salads or enjoyed on it’s own. The cheese also contains all the probiotic health benefits of yoghurt and can be made with your choice of low fat, high fat, sweetened, unsweetened, goat/sheep milk or even fruit yoghurt. Make sure to save the whey when making this too as it’s a great, highly nutritious addition to smoothies, juices, soups, marinades or salad dressings. 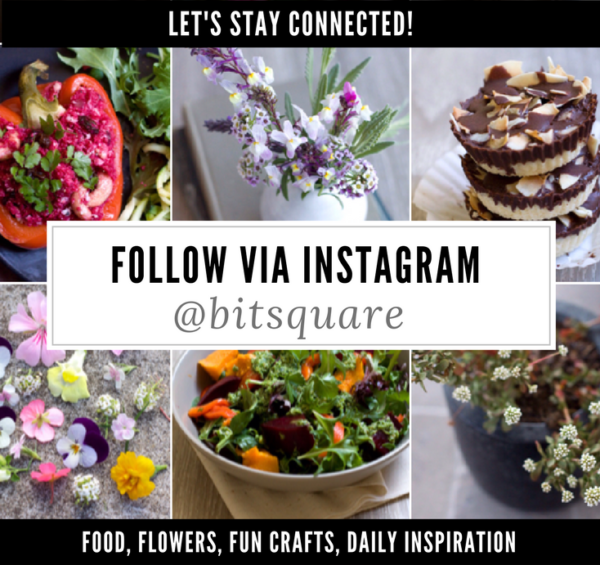 It can also be used to ferment/pickle fruits and vegetables, make cider (see my recipe for fresh apple cider using whey) and taken as a probiotic. If you find the cheese is too thick you can also mix back in some of the whey afterwards. (Or any other type of yoghurt. The thicker types generally work best for this though. I’ve never used sweetened yoghurt myself- it will definitely work but I imagine will be very sweet so it might be best to add sugar/sweetener afterwards). 1. Line bowl with muslin (doubled over) and empty in yoghurt. 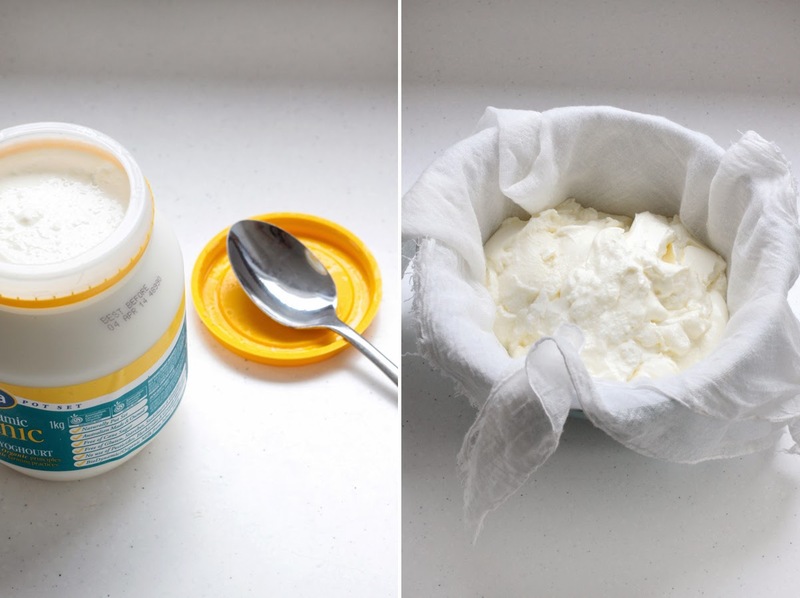 If the yoghurt is particularly runny you may find it easier to place muslin and yoghurt in sieve over the bowl for a couple of hours first so that some of the excess whey can run off. 2. 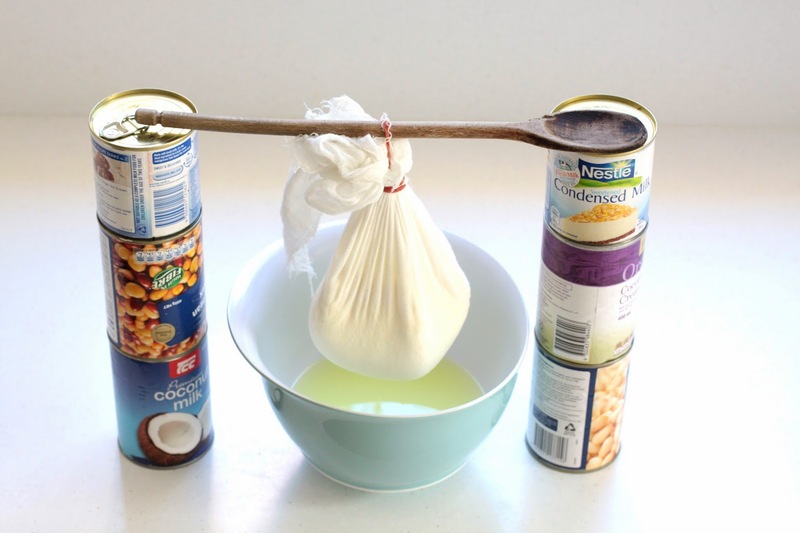 Tie up muslin with a rubber band and suspend over bowl using the cans and wooden spoon. 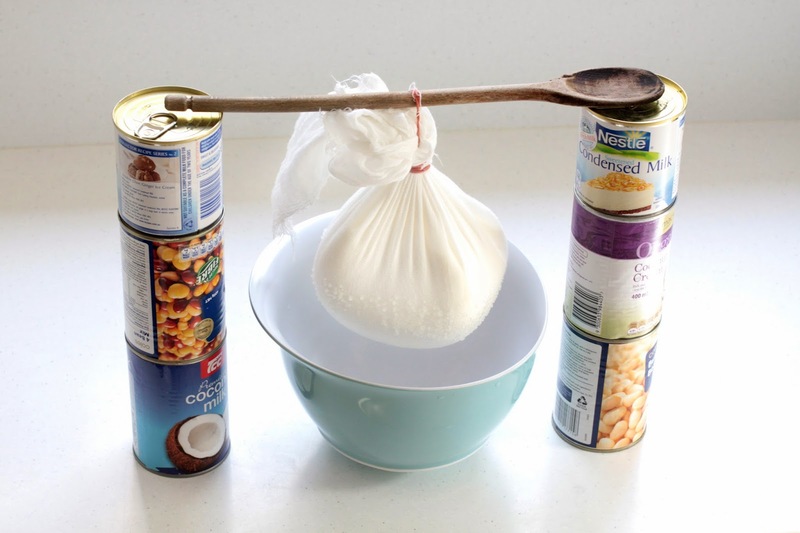 The whey from the yoghurt will begin dripping through the muslin and into the bowl. 3. Leave for several hours or overnight (until the yoghurt stops dripping). I think this usually takes about 8 hours. If you like a softer cream cheese you can remove it earlier though. 4. Unwrap the muslin and the cheese is ready! 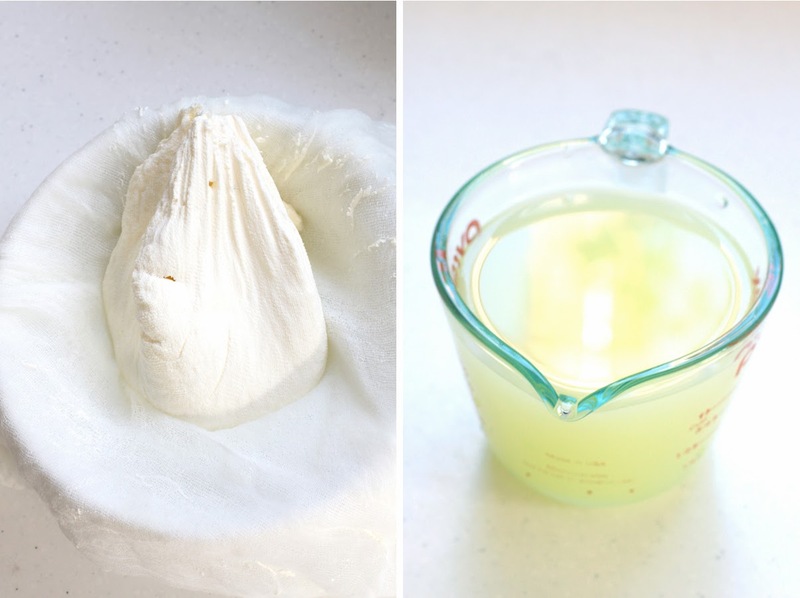 The muslin should last for several goes at cheese making as long as it’s rinsed out and dried well. If it starts to smell or discolour (mine usually goes red!) throw it out. The cheese should last for at least couple of weeks in the fridge. My favourite use for this is in dips and salads. It also makes great quiches too or just nice to have on its own.